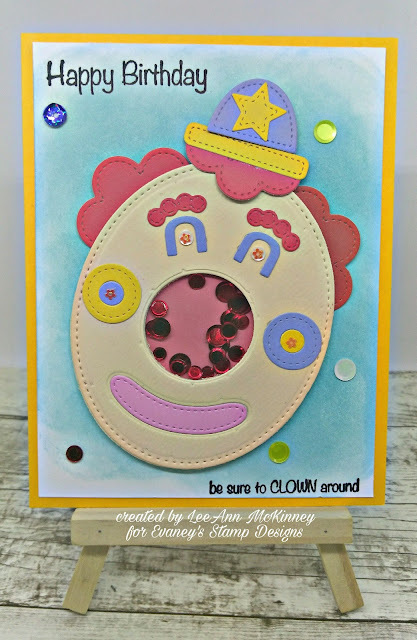 For today's project I used the Party Clown die set and the Circus Confetti Bliss Sequin Mix. I will say I am not big on clowns, however this one was fun to use, and I knew the pieces could be used for more than just the intended purpose. Using various colors of cardstock I cut the different pieces out. When I cut the main section for the head, mouth and nose, I cut through fun foam at the same time as I knew I wanted to make a shaker for the nose section. My background is done with Broken China Distress Oxide on watercolor paper.